Neural tube defects (NTDs) are the second most common birth defects. Spina bifida (SB) and anencephaly make up approximately 90% of total NTDs. Given the number of infants born with an NTD each year, anyone who provides unpaid care for the child (especially caregivers) is affected. This literature review explores the humanistic burden on caregivers of people with SB, specifically myelomeningocele. A search using PubMed, PsycINFO, and Embase was performed to find studies from 1976 to 2010. Interpretative phenomenological analysis was performed on qualitative data and relevant extracts from the data were collated to form master themes. A total of 168 abstracts met the inclusion and exclusion criteria. Of these, 25 articles related to caregivers of individuals with SB. Four master themes emerged: initial diagnosis, living with an individual with SB, social support, and coping. Different aspects of caregivers’ lives were found to be affected by caring for a child with SB, including activities of daily living, work impact, time consumption, parental responsibilities, confidence, feelings and emotions, mental health, stress, social impact, psychological adjustment, and relationships. NTDs, such as SB, present a multitude of issues to caregivers. Issues that affect caregivers of individuals with SB must be addressed in order to reduce the considerable burden that SB places on the caregiver. Continued and enhanced support from health services and patient advocacy groups is needed. For example, providing additional information, support, and empathy can help parents prepare themselves for dealing with the needs of a child with SB over their lifetime. After cardiac abnormalities, neural tube defects (NTDs) are the second most common group of serious birth defects, resulting in infant mortality and severe disability [1, 2]. In the US alone, 4,000 pregnancies per year are affected by an NTD, of which approximately 1,500 result in miscarriage or stillbirth [3, 4]. Furthermore, it is estimated that 2,500 infants (approximately one per 1,000 pregnancies) in the US are born with an NTD each year . The term NTD encompasses many birth defects, but anencephaly and spina bifida (SB) make up approximately 90% of all NTDs. In anencephaly, there is minimal development of the brain, as the brain lacks part or the entire cerebrum (the area of the brain that is responsible for thinking, vision, hearing, touch, and movement). There is no bony covering over the back of the head and there may also be missing bones around the front and sides of the head. This is a life-threatening condition and, as a result, most babies with anencephaly are either stillborn or die a few hours or days after birth . Although the spine of an unborn baby is open when it first forms, it normally closes by the 28th day after conception [7, 8, 9]; in SB, the spinal cord never closes completely. However, it is reported that approximately 80–90% of infants with SB survive with varying degrees of disability . There are three forms of SB: occulta, meningocele, and myelomeningocele. In occulta, there is a small defect or gap in one or more of the vertebrae of the spine. The spinal cord and nerves are usually normal, and most affected individuals are asymptomatic and have no problems. There are populations of occulta patients, however, who do have lower spinal cord problems. These patients have physical disabilities such as lumbosacral lipomas, as well as “hidden” disabilities, such as urinary problems . Meningocele is the rarest form of SB, and involves a cyst surrounding the spinal cord and protruding through the unclosed part of the spine . The cyst can vary in size and can be removed by surgery, allowing for normal development. Myelomeningocele, the most common type of SB, occurs when the cyst takes hold of nerve roots of the spinal cord and often the spinal cord itself. However, there may be a fully exposed section of the spinal cord and nerves without a cyst, and in some cases, spinal fluid may leak out. Affected babies are at high risk of infection until the spinal cord is closed surgically, although antibiotic treatment may offer temporary protection. Some degree of leg paralysis, bladder, and bowel control problems may remain . SB can be diagnosed in two stages. At-risk women are usually screened while pregnant, while milder cases of SB can go undetected until after birth. The most common and serious form of SB, myelomeningocele, is primarily diagnosed by an ultrasound during pregnancy and studies have focused on the benefits of prenatal versus postnatal repair for some time. For example, the recent Management of Myelomeningocele Study on fetal surgery in myelomeningocele, while acknowledging the maternal and fetal risks involved, has shown that prenatal repair performed before 26 weeks of gestation decreased the risk of death and also improved mental and motor function . Given the number of infants born with an NTD each year, many people, including those who provide unpaid care for the child (caregivers), are affected . Living with a child with an NTD means coming to terms with the NTD, its associated complications, and the effect on family and friends. There is substantial evidence in the medical literature demonstrating the burden on individuals living with SB, including emotional, social, and psychological issues [16, 17, 18]. However, the impact on caregivers is less well documented and is sometimes neglected. Several factors may contribute to the current lack of information on caregiver burden in SB. Caring often takes place in private households and, therefore, may be undervalued and underestimated . Also, healthcare professional support efforts for caregivers are often secondary to patient care and are less emphasized objectives . Furthermore, caregivers may be reluctant to report their own problems, overlooking their own burden by comparing it to what the patient is experiencing. This lack of caregiver perspective is unfortunate because caregivers provide substantial support to health authorities, thereby reducing healthcare costs. In 2002, Carers UK estimated that unpaid care is worth £57 billion per year, the equivalent of UK spending on the National Health Service . Caregivers contribute substantially to society and support the health service, but the impact of providing care can lead to them also becoming service users . In SB, caregivers often provide care over their child’s lifetime and on average, irrespective of condition, caregivers dedicate approximately 20.6 h per week to caring for someone with the condition . Caregiving is also associated with lost earnings and lost productivity, which both contribute to the economic burden on society. Caring for someone with SB can be challenging given the daily responsibilities associated with the condition, including medical advocacy and nursing among other things . This review demonstrates the impact of SB, specifically myelomeningocele, on caregivers, and focuses on caregivers’ thoughts and perceptions to gain a better understanding of caring for someone with SB. This current literature review was part of a larger search strategy designed to review literature on the overall holistic impact of NTDs and was conducted using a standard systematic approach. The search strategy was implemented using electronic databases (PubMed, PsycINFO, and Embase) to identify relevant studies from January 1976 to November 2010, using the search terms detailed in Table 1. Internet searches of family caregiver associations and societies were also conducted to access information from grey literature (i.e., unpublished literature, or literature that did not emerge from the main electronic database searches); these included the Association for Spina Bifida and Hydrocephalus (UK), the Spina Bifida Association (US), the Scottish Spina Bifida Association (UK), and Spina Bifida Family Support (US). When the search was finished, all titles and abstracts were screened for possible inclusion in the study by two independent researchers (LM, RH). To satisfy the inclusion criteria, selected abstracts included an appropriate clinical term of interest (Table 1), and a term that related to caregiving (e.g., “family impact” or “burden”). The review pool was restricted to English language studies, human subjects, and articles published from January 1976 to November 2010. All letters and foreign language studies were excluded. The selected studies contained keywords in the title or abstract. Disagreement was resolved by discussion between the two reviewers and another researcher on the project (DR or LA). Studies were excluded only if the reviewers could be sure that they did not fulfill the criteria. Due to the high number of seemingly relevant articles, abstracts were systematically ranked in terms of relevance according to three criteria: (1) journal articles that included terms of interest in the title and abstract, and with SB as the main focus of the article; (2) journal articles that included terms of interest as secondary or exploratory analyses; and (3) abstracts that were supportive but contained no empirical data. Articles that were ranked 1 were included in the review and all others were excluded. Following ranking of the searched articles, data extraction tables were created to extract information accurately on relevant features and results of the selected caregiver studies. The key components of the data extraction tables for consideration were general information relating to the first three authors, publication date, country of study, and reference; and specific information relating to the aims of the study, participant characteristics, sample size, study design, treatments, caregiver-reported outcomes, main caregiver-reported outcome results, and key points. Due to the nature of SB, both qualitative and quantitative data emerged, which were used collectively to identify the master themes. An interpretative phenomenological analysis (IPA) was applied to the qualitative data, an approach that reflects the issues unique to that individual’s experience . The analysis process started by extrapolating quotes related to caregivers’ experiences from any of the studies that reported interviews, focus groups, or case studies. Emerging themes from the articles were grouped together into master themes. The overall aim of an IPA is to translate themes into a narrative account by finding interesting and essential points to tell the audience. These verbatim extracts provide the evidence base for the thematic account and their inclusion provides a means of validation . Quantitative data from questionnaires were analyzed separately and appropriately within the master themes. As part of a larger study, 4,456 abstracts were screened, of which 4,288 were excluded due to the absence of search terms in either the title or the abstract. Of the remaining 168 abstracts, 25 articles related to caregivers of individuals with SB. Four master themes emerged when comparing and contrasting study findings: initial diagnosis, living with an individual with an NTD, social support, and coping. Within each master theme, different aspects of caregivers’ lives were found to be affected by caring for a child with SB, including activities of daily living, work impact, time consumption, parental responsibilities, confidence, feelings and emotions, mental health, stress, social impact, psychological adjustment and relationships. The results are presented in more detail below and in Table 2 [25, 26, 27, 28, 29, 30, 31, 32, 33, 34, 35, 36, 37]. In some cases, caregivers were confronted with the prospect of termination during the prenatal stage, which inevitably placed enormous pressure on parents to make a decision and, regardless of the decision made, the emotional impact was profound, including depression and guilt [26, 38]. Bereavement was experienced by caregivers of individuals with SB who died shortly after birth . During the initial diagnosis, caregivers felt a variety of negative emotions . These emotions included distress, sadness, disbelief, feelings of rejection toward their baby (born/unborn), as well as guilt or blame after the birth . These emotions and feelings are even more evident in postnatal diagnoses. For example, in one study sample, 18 out of 80 parents of children with SB (22.5%) reported guilt as their response to the diagnosis . During these initial stages, providing information to the parents about the disease and any expected or prolonged impairments can help them come to terms with their newborn’s condition and facilitates coping. For example, results from this review showed that at birth, 52.3% (n = 33) of mothers of children with SB did not know that bowel problems could be expected in the future [15, 27, 41]. Additional information, once the condition has been fully explained, can help parents prepare themselves for dealing with the needs a child with SB may acquire over their lifetime. Caregivers’ experiences ranged from feeling stressed to deep depression [29, 33]. Stress was related to the need for medical care for the child with SB and financial worries (in terms of affording expenses and services for the child beyond those covered by health insurance) . Excessive worry or anxiety, general tiredness, weakness, weight loss, headache or dizziness, ringing in the ears, and spells of feeling nervous or shaky were experiences measured on the quality of wellbeing scale as more likely to be present in caregivers of children with SB than caregivers of able-bodied children . Specific examples from the literature illustrate the wide range of activities of daily living affected by caring for an individual with an NTD, including the need always to be available to provide the special care required for people with SB [16, 28, 33]. In one study on caregivers of children with cerebral palsy or SB, caring for an affected child took up to 29% of their waking time . This equated to more time than spent cooking, cleaning, and doing the laundry (26%). Leisure activities and work took up the least amount of their time . Working has been found to have psychological benefits for caregivers, as it offers a change of environment plus social contact . However, caring for a person with an NTD commonly affects caregivers financially, in terms of extra costs not covered by health insurance , loss of benefits (for caregivers who want to work but can only take on low paid part-time work) [15, 33], and their capacity to work. Some caregivers give up employment or reduce their work schedules to carry out caregiving tasks . One study found that even when parents had insurance to cover medical expenses related to their child’s SB, 37 out of 98 parents (37%) reported paying extra health-related expenses, and the majority of those with such expenditure (66%) reported difficulties in paying for expenses not covered by their insurance . Another study specifically looking at caregiver productivity costs found that caregivers of children with SB worked an annual average of 7.5–11.3 h less per week depending on the severity of the lesions, resulting in an estimated loss of lifetime earning costs of US$133,755 . Time spent on caregiving activities remains high throughout childhood and limits the caregiver’s lifestyle as a result . In comparison to parents with able-bodied children, caregivers of children with SB spent more time with their child, particularly due to SB-related incontinence and lack of mobility . Caregivers reported that meeting and traveling to the doctor, therapists, and various other healthcare professionals was time consuming [15, 30], and expressed feeling frustrated about having little time for themselves . Maintenance work, such as dressing, bathing, cleaning teeth, catheterizing, and/or attending to other toileting needs of the child took caregivers, on average, 43 min per day . Caregivers inevitably spent the majority of their time in the caregiving role, with one qualitative study claiming that caregiving is central to the organization of the daily time of all primary caregivers . Due to this impact, most caregivers often felt socially isolated [29, 32]. In another study, two out of 10 mothers of children with SB reported feelings of pessimism and isolation due to their lifestyle revolving around their child with SB . Parents of children with SB reported less parental satisfaction, less perceived parental competence, and lower levels of role restriction than parents of able-bodied children when caregivers were assessed using the parenting satisfaction scale, the parenting stress index, and the perceived parental competence domain of the parenting stress index . Parental hope was also found to be associated with the child’s health-related quality of life . Furthermore, almost half of the parents in one qualitative study reported feeling greatly responsible for advocating on their child’s behalf when dealing with doctors and questioning suggestions for new treatment . Relationships between caregivers and other members of their families was another theme that emerged from the literature review. Qualitative results indicated that there were often tensions or strains within caregivers’ marital relationships . Nine out of 10 mothers in one study reported issues regarding their marital relationship or their relationship with the father of their child, due to their child having SB . However, studies using instruments such as the impact-on-family scale, dyadic adjustment scale, and malaise inventory demonstrated that marital satisfaction did not differ between caregivers of able-bodied individuals and those with SB, and marriages were still intact 2–7 years after the loss of a child with an NTD [29, 32, 39]. Recent research has even suggested that having a child with a disability can strengthen a marriage; however, this very much depended on the quality of the marital relationship before the birth of the affected child . One study of caregivers and their child with SB reported that, in comparison to families with able-bodied children, there were fewer conflicts between the parents and their child . Another study found that 13 out of 19 mothers of children with SB said they spent “more” or “much more” time with their child when compared to other parents, and 17 out of the 19 mothers did not have negative feelings about spending extra time with their child . However, caregivers reported that due to the amount of time spent with the child with SB, less time was spent on any other children they might have [15, 40]. Some mothers felt that their able-bodied child had suffered from living with the child with SB due to limitations on holidays, the mother’s attention, and partaking in activities (e.g., outings and walks) . In some cases, the able-bodied child resented their sibling with SB and felt that their parent had little time for them . Conversely, some mothers reported that their able-bodied child had benefited by gaining compassion, awareness, and empathy for their siblings with SB . In addition, able-bodied siblings also demonstrated increased concern relating to their siblings experiences with discrimination, bullying, and sadness that they could not participate in physical activities with them . Previous research has indicated that able-bodied children get along with their sibling with SB, although 80% of them quarreled. However, the level of SB disability did not seem to affect the amount of quarreling . Social support is important in a caregiver’s life and is associated with mental satisfaction and vulnerability to stress. There were positive [38, 40] and negative [33, 38] experiences regarding support received from healthcare professionals, which ranged from kind and gentle behavior, to gruff and impersonal imparting of potentially devastating information . Caregivers often felt that the availability of health visitors decreased as the child became older. The loss of this regular support was disappointing to the caregivers, who felt it would still be beneficial to them . Quantitative research supports the effect of positive support from healthcare professionals. One study demonstrated that mothers caring for a child with SB scored low on items measuring negative aspects of social support (e.g., “I sometimes feel that people blame me for my child’s illness”) and high on items measuring positive aspects (e.g., “I try to lead a normal life in which my child’s illness has as little effect as possible”) . Additional positive support came from the caregiver’s family, the workplace, and the child’s school [15, 33, 37, 38]. In one study, 11 out of 19 mothers of children with SB reported that they were “very happy” with their schooling arrangements for their child with SB . However, in other studies, lack of positive support was reported in the areas of schooling [33, 37] and the prejudices of other people . Coping is defined as “efforts to meet the demands of the situation and manage conflicts arising from it” . Caregivers were found to use a variety of strategies when coping with an individual with SB, such as getting away from the stressful situation  and being patient with the SB child . Crying, talking with someone, exercising, asking for help, yelling, screaming, slamming doors, venting emotions, busying self with other activities, ignoring problems, denial, and avoidance were alternative coping strategies caregivers used [29, 45, 46]. It was found that that high levels of coping were significantly related to marital satisfaction, as was the quality of the relationship between husband and wife . Furthermore, social support, activities, and interpersonal relationships are factors reported to be associated with family coping . This study highlights the multitude of issues that NTDs such as SB present to caregivers, including physical and psychosocial problems, and classifies them under four main themes: initial diagnosis, living with an individual with an NTD, social support, and coping. Issues that affect caregivers of individuals with SB, from the initial diagnosis at pregnancy through adulthood, must be addressed in order to reduce the considerable burden that SB places on the caregiver. These results demonstrate the need for continued and enhanced support from health services and patient advocacy groups. Healthcare professionals and key decision makers could use the information identified in this review to target areas requiring further attention actively such as the impact an SB child has on work, personal finances and coping, as well as develop interventions to provide specific support for caregivers. Such results are in line with the study by Zipitis and Paschalides , which suggests that early information, support, and empathy are crucial for helping caregivers cope with the burden of caring for someone with SB. It is also pivotal to raise awareness among women about the benefits of folic acid when taken correctly (especially before conception), as findings indicate that folic acid reduces the incidence of NTDs by 50–70% . Several national health authority guidelines (e.g., American College of Obstetricians and Gynecologists) generally recommend increasing periconceptional folate intake in women of childbearing age, and specify a folic acid supplement of 4–5 mg per day for women at high risk (i.e., women with a previous NTD-affected pregnancy), or 0.4–0.5 mg per day for women at low risk of giving birth to a child with an NTD [10, 35, 49, 50]. Various strategies have been employed to promote folate intake, including health promotion campaigns, folic acid food fortification, and education regarding supplementation of folic acid. However, additional initiatives are necessary and could include giving healthcare professionals clear objectives to target women of child-bearing age, and raise awareness of folic acid intake and the role it plays in preventing NTDs. The structural limitations of this review deserve comment. As noted in the introduction, this review was part of a larger search strategy designed to review literature on the holistic impact of NTDs. The authors’ initial search strategy intended to capture articles on all types of NTDs that might impact the caregiver; however, anencephaly, which often results in stillbirths and terminations, proved to be less well documented. Research on stillbirths indicates the profound long-term impact of a stillbirth on mothers’ lives; likewise, terminations can have long-term impact . More research on the impacts of anencephaly on parents/caregivers is warranted. Likewise, information on occulta and meningocele is also limited, with most of the literature focusing on myelomeningocele. For this reason, the main focus of the authors’ review is on the impact of SB, specifically myelomeningocele on caregivers, rather than other NTDs or other forms of SB. Furthermore, the caregivers’ experiences were extracted from second-hand data from a literature review. This study used IPA on qualitative data from the studies identified. Further research on this topic could benefit from the use of in-depth interviews and focus groups, with an emphasis on exploring the relationships between the different impacts of caring for a child with SB and identifying where the burden is most significant. Quantitatively, future studies could explore predictors of caregiver burden. Additional research could also establish whether the areas of impact identified from this study are exhaustive or if there are other areas that have not been identified. Research into this field could also be achieved by performing semistructured interviews with caregivers and clinicians, and using saturation to ensure that all key concepts important to caregivers are identified. Furthermore, future studies could evaluate specific interventional tools, in order to reduce perceived stress and psychosocial suffering of caregivers. This will ultimately have beneficial effects for caregivers and individuals with SB . As previously noted, while the literature review initially returned a large number of articles, the majority of these were excluded after the ranking process. As the authors’ review spanned over 30 years (1976–2010), it was necessary not only to keep the review to a manageable size but to include only the most relevant and important information. Future studies could perhaps use a wider range of terms for inclusion and exclusion criteria to achieve a more comprehensive review. 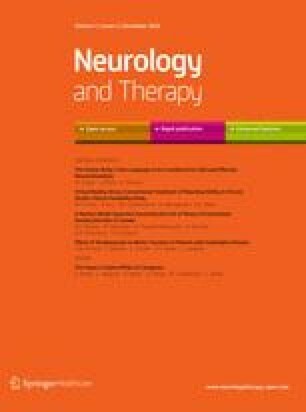 Despite the limitations, this paper can be used to further understanding of caregivers’ experiences and, because it focuses specifically on the unique nature of caregivers’ thoughts and perceptions, it provides an invaluable account of caregivers’ experiences of caring for someone with SB. Sponsorship for this study was funded by Bayer Healthcare. L. Abetz is the guarantor for this article, and takes responsibility for the integrity of the work as a whole. A. Collings and M. Lindemann are employed by Bayer Healthcare. D. Rofail, L. Maguire, R. Heelis, and L. Abetz are employed by Adelphi Values. Adelphi Values have been contracted by Bayer to conduct this research. National Institute of Neurological Disorders and Stroke (NINDS). Spina Bifida Fact Sheet. NINDS website. http://www.ninds.nih.gov/disorders/spina_bifida/detail_spina_bifida.htm. Accessed Aug 29, 2012. Carers Australia. The ageing population—can we rely on informal, unpaid care to provide? Response to the study by the National Centre for Social and Economic Modelling study—who’s going to care? Informal care and the ageing population. http://www.carersaustralia.com.au. Accessed Aug 29, 2012. Carers UK. Statistics and facts about carers. http://www.carersuk.org/newsroom/stats-and-facts. Accessed Aug 29, 2012. Arno P. National Family Caregivers Association and Family Caregiver Alliance. Estimated prevalence, hours and economic value of family caregiving, updated state-by-state analysis of 2004 national estimates. Family Caregiver Alliance 2006. http://www.caregiver.com/2004_State_Caregiving.pdf. Accessed Aug 29, 2012. National Family Caregivers Association (NFCA). Connecting caregivers. NFCA wesbiste. http://www.nfcacares.org/connecting_caregivers/. Accessed Aug 29, 2012.